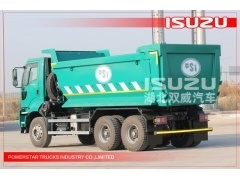 Compressing Rear loader Garbage trucks Isuzu Specifications: ISUZU Rear Loader Garbage Trucks Vehicle Model PT5122ZYS Chassis model FTR Maximum total mass 12000kg Kerb mass 8280kg Rated pay load 3525kg Carriage volume 9.6m3 Garbage bucket volume 1.2m3 width of feeding mouth 1696mm Hvdraulic svstern pressure 20Mpa Outline dimensions 7460/8040/7800*2487*3015mm Wheelbase 3800mm Time of compression 16-18s unload garbage time ≤30s Principle: Rear loader includes sealed container, hydraulic system and operating system. The whole rear container is sealed, self compress, self dumping, wast water kept in the tank will compress, avoid the pollute will transport. 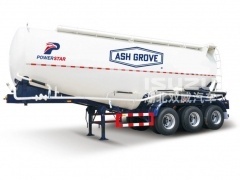 Key parts are imported, with larger pressure, better tightness, easy to operate, safety. Optional basket equipment and overturn mechanism increases efficiency. 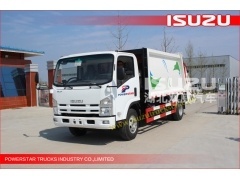 Scope of application: Detachable Rear loader garbage trucks are special for collecting the urban domestic refuse and other compressible refuse. 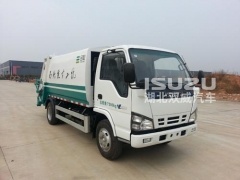 Garbage trucks are widely used in sanitation, municipal, industrial enterprises, property plot, garbage and concentration of residential areas. 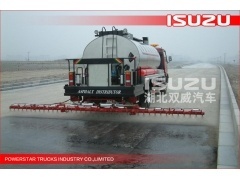 Competitive Advantage: The key units of Hydraulic system are with advanced structure, more reliable, easier to operate and maintaince, such as control valve, cylinder, connection parts. Advanced electric controlled system adopts PLC (Programmable Logic Controller) integrated controls, Mechatronics-hydraulics-integrated controls, reaching high automatization. Pushplate valve are equipped with balance valve which can made pushplate move forward to the front of the container during double compressing garbage, thus providing a big space for loading garbage. 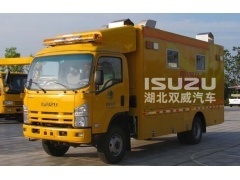 Beautiful streamline appearance, upper vehicle adopts high strength anti-rust steel plate which can prolong the service life of vehicle. Convenient control system It is convenient to operate, job control boxes are separately installed in the cab and vehicle end. 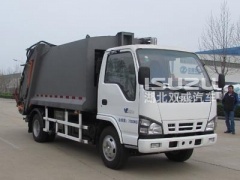 The control box installed in the cab can control the operation of dumping garbage and selective mode( such as auto-matic or hand-operated) ; the control box installed on the vehicle end can control the operation of stuff mechanism and overturn bucket mechanism. Throttle control can be realized full-automatic control by control electric system,which meet the power needs of operation of compressing and dumping garbage; in other working condition, engine get into idle state automatically that can reduce power wasting and faults rate. Rearview monitor system of optional is offered, it is very convenient to perform visible load and unload operation in the cab. 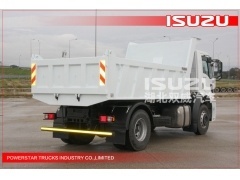 Two controls of automatic control and hand-operated control are offered, greatly increased vehicle utilized rate. The machine was installed with emergency stop which can stop working whatever state and position stuffing mechanism reached, ensure that the staff and equipment are safety. Basket equipment and overturn mechanism are optional, user can select collecting mecha nism of optional according to the way of collecting garbage.